Climate is a major determinant of energy demand. Changes in climate may alter energy demand as well as energy demand patterns. 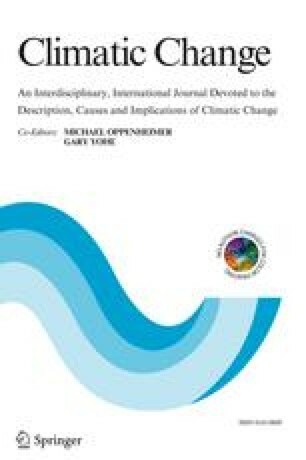 This study investigates the implications of climate change for energy demand under the hypothesis that impacts are scale dependent due to region-specific climatic variables, infrastructure, socioeconomic, and energy use profiles. In this analysis we explore regional energy demand responses to climate change by assessing temperature-sensitive energy demand in the Commonwealth of Massachusetts. The study employs a two-step estimation and modeling procedure. The first step evaluates the historic temperature sensitivity of residential and commercial demand for electricity and heating fuels, using a degree-day methodology. We find that when controlling for socioeconomic factors, degree-day variables have significant explanatory power in describing historic changes in residential and commercial energy demands. In the second step, we assess potential future energy demand responses to scenarios of climate change. Model results are based on alternative climate scenarios that were specifically derived for the region on the basis of local climatological data, coupled with regional information from available global climate models. We find notable changes with respect to overall energy consumption by, and energy mix of the residential and commercial sectors in the region. On the basis of our findings, we identify several methodological issues relevant to the development of climate change impact assessments of energy demand. BLS: 2003, ‘Consumer price index for electricity’ (Series ID: CUURA103SEHF01), www.bls.gov. BLS: 2003, ‘Consumer price index for fuels’ (Series ID: CUURA103SAH21), www.bls.gov. NOAA: 2003, ‘Sunrise/sunset calculator’, http://www.srrb.noaa.gov/highlights/sunrise/sunrise.html. U.S. Bureau of Economic Analysis: 2002, ‘Total full-time and part-time employment by industry’, www.bea.doc.gov. 2.Department of Civil and Environmental EngineeringTufts UniversityMedfordU.S.A. 3.Climatological Database ConsultantBinary Systems SoftwareNewtonU.S.A.